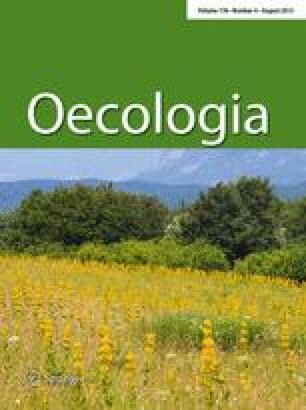 The preference-performance hypothesis posits that the host plant range of plant-feeding insects is ultimately limited by larval costs associated with feeding on multiple resources, and that female egg-laying preferences evolve in response to these costs. The trade-off of either using few host plant species and being a strong competitor on them due to effective utilization or using a wide host plant range but being a poor competitor is further predicted to result in host plant specialization. This follows under the hypothesis that both females and offspring are ultimately favoured by utilizing only the most suitable host(s). We develop an experimental approach to identify such trade-offs, i.e. larval costs associated with being a host generalist, and apply a suite of experiments to two sympatric and syntopic populations of the closely related butterflies Pieris napi and Pieris rapae. These butterflies show variation in their level of host specialization, which allowed comparisons between more and less specialized species and between families within species. Our results show that, first, the link between female host preference and offspring performance was not significantly stronger in the specialist compared to the generalist species. Second, the offspring of the host plant specialist did not outperform the offspring of the generalist on the former’s most preferred host plant species. Finally, the more generalized species, or families within species, did not show higher survival or consistently higher growth rates than the specialists on the less preferred plants. Thus, the preference and performance traits appear to evolve as largely separated units. We thank Åsa Sandström for valuable help in butterfly rearing, Toomas Tammaru, Lee Dyer and two anonymous reviewers for useful comments on earlier versions of this manuscript. This study was funded by the Royal Swedish Academy of Agriculture and Forestry, the Stina Werner Foundation and H. M. the King’s 50th Birthday Fund to M. F. and by the Swedish Research Council to C. W.